How much should spend when a couple get married? 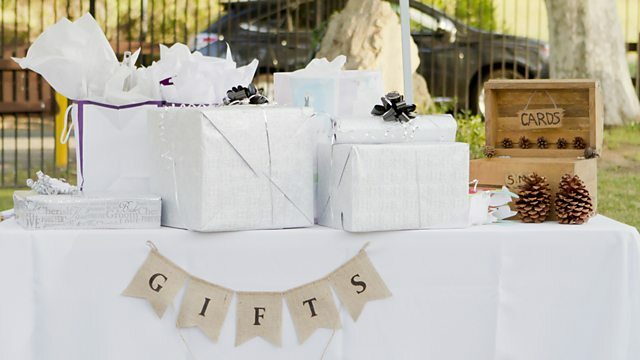 Can economics help us work out the perfect amount to spend on a wedding gift? Our reporter Jordan Dunbar is in a tricky situation-he’s heading to an old friend’s wedding and needs to figure out how much to give as a gift without breaking the bank. Luckily, economist Maria Kozlovskaya is on hand to talk about her findings on what factors we need to consider for gift giving, as well as preserving Jordan’s friendship and wallet.